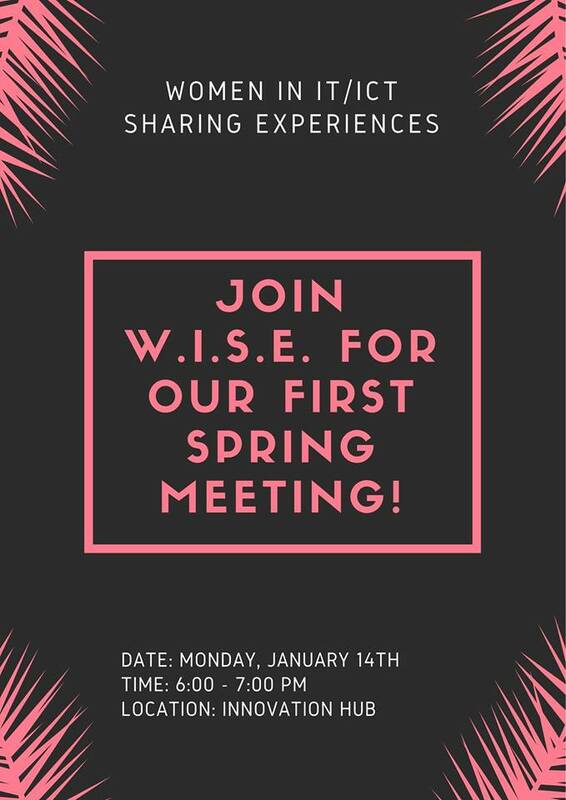 Kick off the new year with WISE to learn about what we have in store for you for this semester! Whether you are an IT/ICT major or any other major in the college of Communication & Information, WISE is a great organization be a part of! We can’t wait to see you there!